Whilst personally this isn’t my first foray into A/B testing, it is for my current place of work and as so I thought it was an ideal opportunity to document the process. With doing this, I will be able to share best practice, pitfalls and everything in between. For each part of the process I will write a blog post. First up preparation. This is the statement all A/B testing tools will tell you, and yes that could be the case. Simply add this line of code on all pages and its ready to go. The reality is you will have a web presence made up of several sub domains, some CMS driven, some not. Throw into that you probably don’t have access to the code to add the extra line of code, that will be your IT team who will have processes and other priorities. For an A/B test to be truly measurable you need to have website objectives/goals to measure against in addition to the conversion rate of the test in question. Why? Well your new alternative might be better than the original in terms of conversion, however this might of had a negative effect on the site key goals (e.g. increase in downloads via a/b test however now we have drops in sales). PRWD have written a good post on this – don’t be a slave to conversion rate. First up though is implementing a sound measurement model containing your goals/ objectives. So while developers add your testing code, get your models in place (Give Avinash’s DMMM post a read to know what to include). From personal experience getting this agreed takes longer than adding code! Sounds obvious, but just because you can test, doesn’t mean you should test. You need a reason to test, a hypothesis, which you can derive from the insights gleaned from measurement models, user feedback, user research etc. Unbounce with Michael Aagaard talk about this on the new CTA Podcast. I see this so many times, that this one A/B test will be a magic wand and show page X is the best (and solve all our problems). 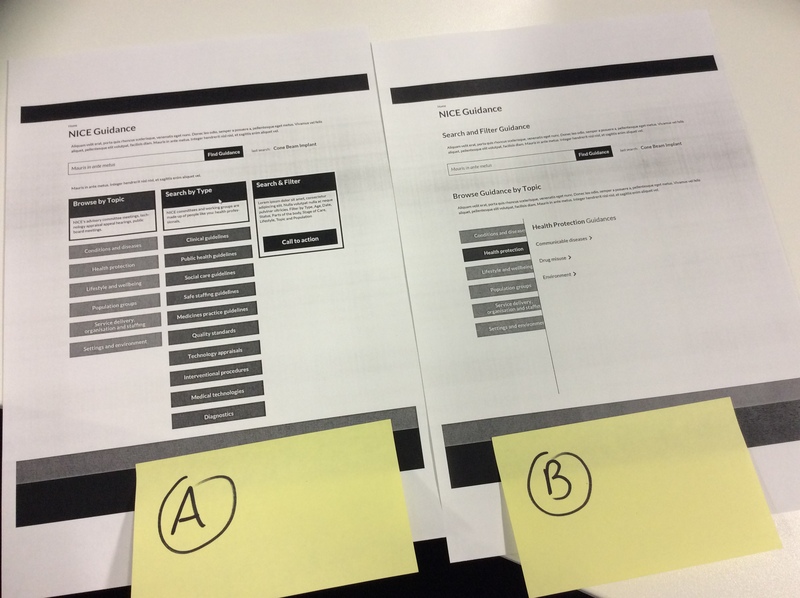 Yes it might lead you to better conversions but A/B testing isn’t a one trick pony. A/B tests are about gleaning insights and form part of the cyclical design process and so are not done as a one off, but as iterations. Each A/B test will provide more insights (good and bad) which put together will slowly but surely give you incremental improvements. Pretty logical, however one that will stop you testing any page. For a test to validate it needs to be looked at by a relatively large group of people. For pages with low traffic there are a number of other alternative tests to use. A/B tests, and testing tools, give a metric called Statistical Significance. This is calculation, in theory, tells you the number of users to hit to make the test significant. For some of you this might be achieved in hours or days, so is this the time to stop the test? Nooooooooooooo. Peep Laja has written an excellent post on this issue including why test duration should be linked to business cycles. Whilst “we” have a good knowledge base and best practice at hand, we are not the user. Users can do the most unexpected things because of the situation they operate in. They could be stressed, they might have a time constraint whilst on the webpage, they might need to make an important decision. “We” are not in their situation so will come to different outcomes, hence the need to test, even if its just to validate our instinct. If you haven’t already noticed, the other thing to do with your time is to read form other peoples experiences. Your tests will be unique as will be the results but lessons learnt will be common.